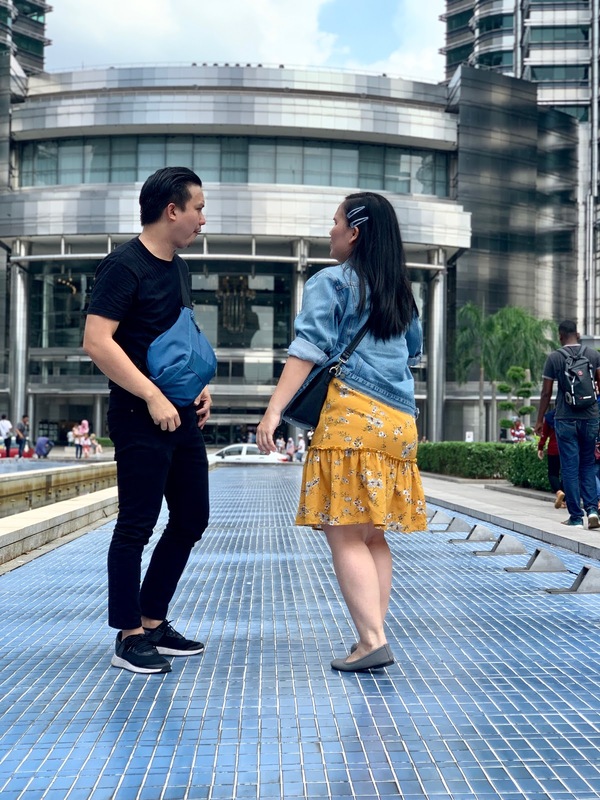 KLCC is one of our favourite places to go to. I still remember during our dating time, we don't where to go and we ended up to come here, see the towers and go back...funny, right? Also, we love to bring our friends/relatives that come to KL here to take photos too. I still remember last time, I bring my friend's family come here and my car broke down plus it's raining heavily that time. Since I'm scared to drive my car back home, I asked my KingKong to come and pick the car here in KLCC...haha and I ride LRT back home. When I think back, waaa I'm so selfish o. Why did I ask him to drive that car alone....scary! I had so many good memories here so that why I love to come here. This is our first time come here in 2019 and hopefully more to come. I don't talk too much lately, I dont know why.